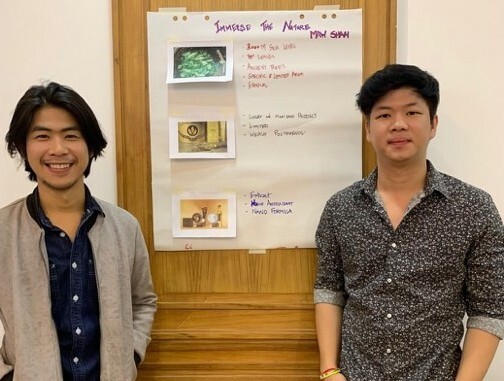 ProFound experts Robbie Hogervorst and Aafke van Sprundel conducted a series of market entry strategy trainings in Kuala Lumpur, Yangon and Mandalay for the Helvetas Regional BioTrade Project South East Asia. More than 20 Vietnamese, Lao and Myanmar companies were trained and supported to develop their first market entry strategy. A second objective was to build capacities of business associations to start developing market entry services to their members. During the workshop, the participants were guided to define how they wanted to position themselves on the market. Do they want to be a high end, a sustainable, ethical, unique or high quality producer? What makes them special? What is their story? Robbie and Aafke then supported the companies to define what this positioning means in terms of product development: What certification do they need? Do they need to change their packaging? Work on food safety? Do testing or develop documentation? They were also supported in building on their position to develop an attractive promotion concept and make their story more concrete. With companies of each sector, we identified strategic objectives on product development and promotion at sector level. Each company developed a simple roadmap to start implementing some of these steps. These roadmaps will provide more structure to the companies to make themselves ready for matchmaking activities later in the project, with some participating in BioFach in Germany from 13-16 February 2019, and others joining Helvetas and the ProFound team at Natural Products Expo West in California, in March 2019. Also, these roadmaps provide valuable insights for the associations and the Helvetas projects to anticipate future support needs to the companies and start developing appropriate services. Visit the Vietnamese companies at BioFach, stand 2-341. For more information on the Laos or Myanmar companies, contact Robbie at rhogervorst@thisisprofound.com.